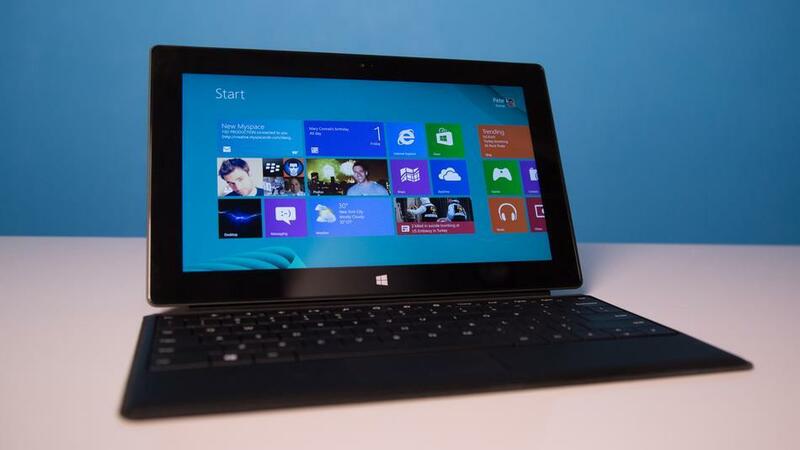 You are here: Home / Tablet PC News / Will Windows 8 Survive in the Tablet Space? Initial reviews of the Surface Pro aren’t painting a very optimistic picture of the Microsoft tablet, which brings us back to the question: Will the Apple iPad go unchallenged? Or to put things in a bigger perspective, how things are likely to pan out in the entire tablet computing segment with reference to Windows 8? With the Surface Pro not proving good enough both as a tablet or a laptop, analysts believe Microsoft might soon have to make way for its competitors (read Apple) into its most lucrative segment so far, the enterprise segment. Apple of course is making all the right moves right now. Take, for instance, its recent decision to launch a high end iPad with 128 GB of storage. With this, Apple has made its intent very clear. It not only wants a slice of the enterprise segment that the Surface Pro is targeting, but the personal computing segment as well. Shipment of personal computers has been declining over the years and is predicted to be eclipsed by the tablet PCs soon. Apple itself has sold more than a 100 million iPads to date and the figure keeps growing. In contrast, the growth rate of the PC industry is negative, and showing signs of coming to a halt for the first time in over a decade. Apple has got a whiff of the PC segment that is 350 million plus in size and is looking to capitalize on the trend. For Microsoft, on the other hand, while there aren’t any serious issues with the Windows 8 operating system, the same can’t be said of the hardware surrounding it. At least not in the tablet segment. The Surface Pro was supposed to be the flag bearer of the new OS, but that does not seem to be the case anymore. Ironically, it is the operating system itself that perhaps has to be blamed. It has to be handled by a heavy duty processor, which devours the power supply. As things stand right now, the Surface Pro doesn’t have the optimum balance of processing power, battery life, and weight. The latter two are especially disappointing, since with just about 4 hours of battery life and around a kilo of weight, it is nowhere near the tablet space. Microsoft might use these figures to justify its inclusion in the laptop or ultrabook segment, though the Surface Pro’s form belies the notion. The Surface Pro is to be used strictly on a table (or equivalent surface) or as a tablet. The latter option though could be a workout during extensive use, what with the device weighing almost a kilo. So is Windows 8 just not fit for the tablet space? With the current advancement in technology, the answer seems to be yes. If performance can’t be compromised, then it’s either battery life or weight that one has to opt for and not both. Unfortunately, the latter two aspects are almost as critical as performance of the device for it to survive in the mobile devices segment. A hard cover with an integrated battery unit can be a way out to overcome battery issues, but that will be a stop gap solution at best apart from adding to the cost and weight even more. So how does Windows 8 fare in the laptop or ultrabook segment? Well, it’s here that the OS can flourish and deliver a superior computing experience. A touchscreen based ultrabook with a detachable keypad can be the ideal solution. A battery unit housed in both the tablet and keypad should allow for enough juice to last an entire day, though a detachable tablet part can’t be termed an absolute requirement. However, a great advantage with ultrabooks is that they can be used almost anywhere, like on the lap or on the bed, just as the traditional laptop. The Lenovo IdeaPad Yoga can be considered the best example of an ultrabook running Wndows 8 so far. The future… there are three operating systems that have emerged in the tablet space, all having carved out their own area of dominance. Android seems to be more comfortable in the budget segment, while the Apple iOS based iPad has come to rule the roost in the mid to high price range. Windows RT aimed for the mid-price range but has failed to deliver so far. Windows 8 Pro, riding on the tails of the Surface Pro, is aimed at the high priced segment, but initial response has not been encouraging so far. In any case, what is already clear is that the future of computing is based on finger or stylus based touch input with almost all devices coming out featuring a touchscreen based display. Right now Win8 is a 4th generation OS running on 3rd generation processors. I think that we can see where computing is going and that processing power will be needed. I just wonder what Haswell and similar technology will make possible and how soon. Just read that the Pro has sold out so in this instance survival would be a relative term and the parameters of the discourse should also.